Do you take vitamins for memory? Research suggests you should! For people with mild cognitive impairment or Alzheimer’s—or those who have a family history of either—be sure to add these B vitamins in your daily supplement pile. Research indicates people with higher B12 levels are less likely to experience brain shrinkage compared to their deficient counterparts. The brain loves B vitamins and they are an important consideration for improving memory and cognition as well as lowering your risk of mild cognitive impairment (or “pre-dementia”) and Alzheimer’s. A two-year study in the Journal of Clinical Nutrition showed taking B vitamins for memory improved cognition in older participants. Another study showed a combination of B6, B12, and folic acid slowed cognitive decline in participants over the age of 70 who had mild cognitive impairment. Another reason it is important to take vitamins for memory is that studies suggest deficiencies in these vitamins can accelerate the shrinkage of brain volume as well as loss of cognition. Research indicates people with higher B12 levels are less likely to experience brain shrinkage compared to their deficient counterparts. In fact, a B12 deficiency can actually mimic dementia. Methyl B12 for mild cognitive impairment: Because B12 works synergistically with folic acid, they should be taken together. B12 is found naturally in meats and seafood; therefore, vegans and vegetarians should supplement with B12. Poor nutrient absorption due to a gluten intolerance or poor gut function can also limit B12 absorption from diet. It is best to take all vitamins—but especially vitamins for memory—in their most bioavailable forms. For B12, this means you should take methyl B12, or methylcobalamin (as opposed to the more common, synthetic cyanocobalmin). Not only is methyl B12 more neurologically active, it also enhances a detoxification process called methylation, which in itself will help slow or prevent the progression of mild cognitive impairment because it lowers homocysteine and helps reduce inflammation. Recommended doses of methyl B12 vary depending on whether you have a deficiency, and you should work with a qualified health care practitioner to determine the best dose. 5-MTHF (5-Methyltetrahydrofolate) for mild cognitive impairment: 5-MTHF is a biologically active form of natural folic acid. Not only is it more active, but an estimated one in three people have a genetic inability to properly convert folic acid to its usable form, so 5-MTHF is more available to them. Like methyl B12, 5-MTHF also supports the body’s detoxification process and anti-inflammatory effects, thus supporting brain health and lowering the risk of mild cognitive impairment. It’s always best to try to supply your vitamin needs through diet, and that is true with folate as well. Dietary sources of folate include liver, romaine lettuce, spinach, asparagus, turnip greens, mustard greens, parsley, collard greens, broccoli, cauliflower, beets, and lentils. If you prefer to use a supplement, be sure to purchase folate or 5-MTHF. The necessary dose may vary depending on deficiency or whether you have the genetic inability to fully utilize folate. Again, an integrative physician can assist you with vitamin testing and/or genetic testing. 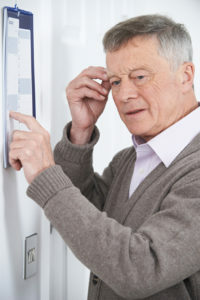 B6 for mild cognitive impairment: Like B12 and folate, B6 is one of the best vitamins for memory because it helps control homocysteine levels and inflammation. B6 is also necessary for the production of the “feel-good” neurotransmitters serotonin and dopamine. The most bioavailable form of B6 is P5P (pyridoxal 5′ phosphate). The recommended dose of P5P is 20–25 mg a day, although higher amounts may be indicated in some conditions such as pyroluria, a genetic B6 and zinc deficiency. American Journal of Clinical Nutrition 95(1):194-203, 2012. Int J Geriatr Psychiatry. 2012 Jun;27(6):592-600. doi: 10.1002/gps.2758. Epub 2011 Jul 21. 5 mthf, alzheimer, anti inflammatory, anxiety, anxiety and panic, anxiety and panic attacks, b vitamins, b12, b12 deficiency, beets, best vitamins, best vitamins for memory, brain, brain health, brain shrinkage, brain volume, cauliflower, cholesterol, cognitive decline, cognitive impairment, dementia, detoxification, diet, dopamine, folate, genetic testing, gluten, gluten intolerance, health, homocysteine, homocysteine levels, inflammation, integrative, lower cholesterol, lower cholesterol naturally, memory, mild cognitive, mild cognitive impairment, mthf, natural remedies, niacin, niacin benefits, nutrition, panic attacks, reduce inflammation, serotonin, serotonin and dopamine, spinach, supplement, vitamin, vitamin b6, vitamins, vitamins for anxiety, vitamins for anxiety and panic attacks, vitamins for memory, zinc. Thanks for the nice article. It was very useful for me. Keep sharing such ideas in the future as well. This was actually what I was looking for, and I am glad to came here! Thanks for sharing the such information!